I love fall running season. The weather is perfect and the race opportunities are (almost) limitless. Problem is, there are almost TOO many choices. 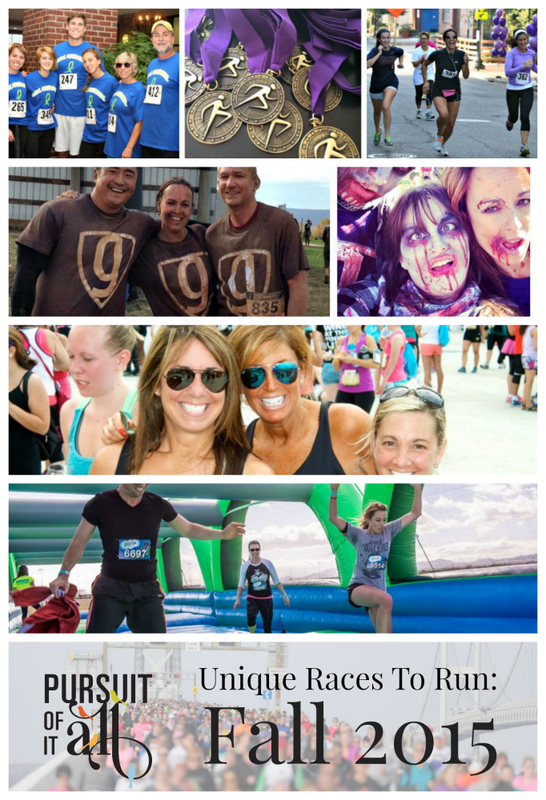 Why enter the same ol’ 5K when you can run from zombies, chow down on cupcakes, or sip chardonnay? Whether you’re looking to dress up, dodge the undead, or sip vino at the finish line, we’ve put together a list for you of five fun race options in the Washington, D.C. region! BONUS: races with an asterisk have a discount code associated! What if I told you that Four Seasons DC puts on a 5K complete with a hot breakfast buffet, Georgetown Cupcakes, and prizes valued over $1,500? This race is a no-brainer, in my book (and not just because I happen to be the race director—HA!). Sprint Four the Cure is a 5K chipped race/walk that raises funds and awareness for cancer research at the Washington Cancer Institute at MedStar Washington Hospital Center. The morning is full of fun extras including messages, lavish door prizes and a full breakfast. *Use the code SFTCINF at checkout to receive a $5 discount on registration! Why do a normal 5K when you can spend Halloween morning running away from the undead in a cornfield? The Mud Dog Zombie Run is one part 5K, one part obstacle course, one part escaping the clutches of zombies — and all parts awesome. I’ve participated in this event for the past three years and it is mad fun! (We even brought out members of our soccer team and let them loose on the course.) Be sure to stay and enjoy the after-party with some Jailbreak beer and live music! **Use the code pursuitofitall at checkout to receive a $10 discount on registration! Driving across the iconic Bay Bridge is exhilarating for some and full-on terrifying for others. Anyone who’s lived in Maryland and probably most who have visited have crossed it — a 4.3-mile dual span connecting the western and Eastern shores. I personally love to cross the landmark. The view is stunning and it always makes me feel closer to the beach. (And who doesn’t love that feeling?) The 10K Across the Bay race is a opportunity to experience the bridge and its spectacular views through a truly unique experience. It’s high up on this runner’s bucket list! 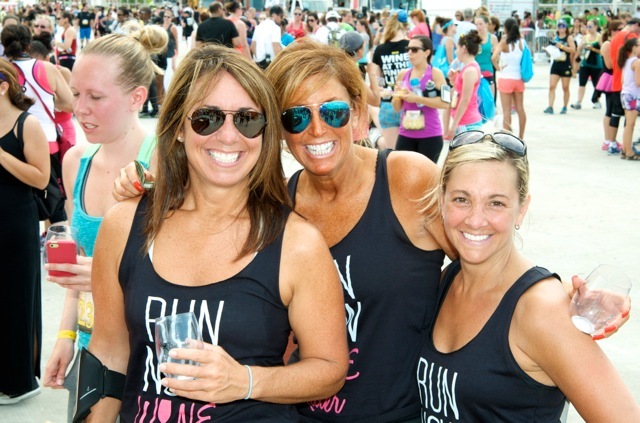 *Use the code AMBMILCETICHJ15 to receive $5.00 off registration! So, lace up those kicks and get that training in because it’s going to be a blast this fall! Tell us which races you’ll be running in the comments below!